If you’re in the business world, you know the power of a good logo. Consider some of the largest brands out there, such as Apple, Starbucks or Nike. With brands like these, you don’t even need to read their name to know their business; you recognize them simply by the logo. All of these—and many, many more—are just a few examples of the power of a great logo. For a business to be successful, it has to have a great brand. And to have a great brand, you first have to start with a great logo. However, small businesses definitely don’t have the resources or financial capital to design a logo that these large corporations have. Fortunately, there are a few tips every business professional can keep in mind when it comes to creating a logo. 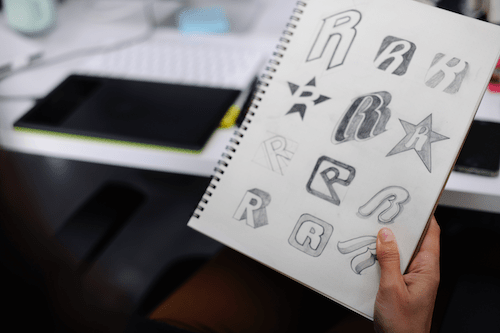 Here’s how to design an appealing business logo. 1. Decide on the vision. The first step to create an appealing logo is deciding on the vision. Focus on a specific vision which incorporates points like what the company does, what products or services it provides and how you want customers to view the business. Is it edgy and modern, or cool and classic? Decide on a vision for the logo before you jump into the design process. 2. Stand out from the crowd. Next, take a look at other logos out there to consider what you like and what you don’t like. How can your logo stand out from the crowd? Oftentimes, similar designs are used multiple times for different industries. This can leave the logo feeling overdone and boring. Instead, when the brand has a unique design, viewers will be more attracted to it and the business. Then, consider hiring a professional designer. Professional designers have the experience and necessary expertise to design a truly effective logo. While keeping the logo design “in-house” might seem more cost-effective now, it can result in time loss and more headaches later on. Instead, evaluate professional graphic designers in your area to see how they can take your vision and turn it into a truly effective logo. While not always necessary, a tagline is a great option to incorporate into the logo. Taglines often sum up your values, services or brand within 3-7 words, and adds and extra dose of intrigue into the logo design. If you have a specific phrase which fits with the logo and encompasses the business, consider including the tagline in the design. Now we come to the logo design time. Review your three main options for types of logos: font-based, icon or symbol logos. Or, you could even do a combination logo. Consider which logo fits your business needs best. No matter which type you choose, be sure the logo represents the vision you had in the very beginning. Once you begin designing the logo, remember: the simpler, the better. Complex logos can overwhelm viewers and look unorganized or unprofessional. Instead, choose easy-to-read fonts, crisp colors and a clear design. A simple logo will not only catch viewers’ eyes, but it also demonstrates the business as a credible and reliable source for products. Then comes one of the most critical components of a brand: the colors. Not only does the color choice have to reflect your brand, but production costs can also vary depending on how many colors you choose. Keep the colors in your logo to a maximum of three to four, and choose colors which reflect the emotions you want your brand to evoke in customers. Finally, adaptability is key for a logo. Your business logo should be able to adapt to a variety of different media—online, in print or even on merchandise. It should look crisp, clean and simple no matter what it’s printed or plastered on. As you design the logo, be sure its lines, size and colors can be easily adapted and produced on a variety of materials. Like the golden arches of McDonald’s, your business’s logo is a critical component of the brand you want to portray. Keep these tips in mind as you go about designing an appealing logo, and see how the business can grow because of it.